Gorgeous card! 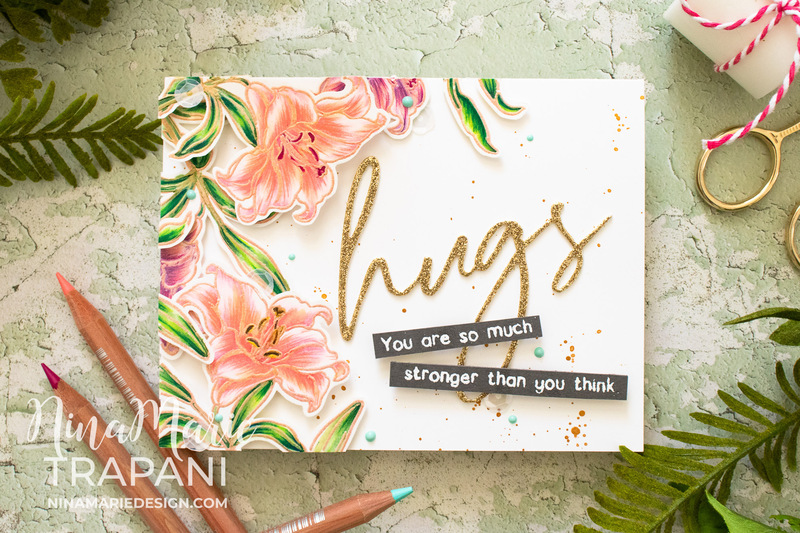 I love the pencil detail and those teal drops – Oh my! Ooo, I love these colors together. I wouldn’t have thought to do peach lilies, but they turned out amazing. 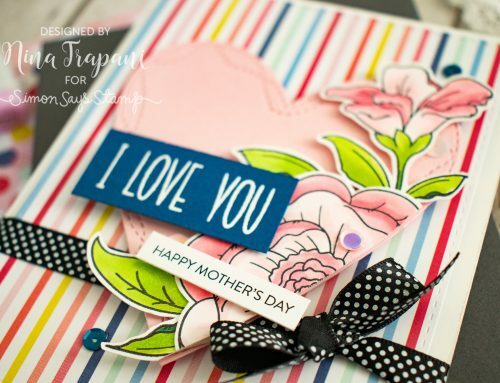 Thanks for sharing this gorgeous card with us! Beautiful Nina. Strange that your site won’t accept my comment because it’s too short. wow..great technique and fabulous results. Thanks for the inspiration. Such a pretty card ! You always do a wonderful job…Thanks for sharing!! 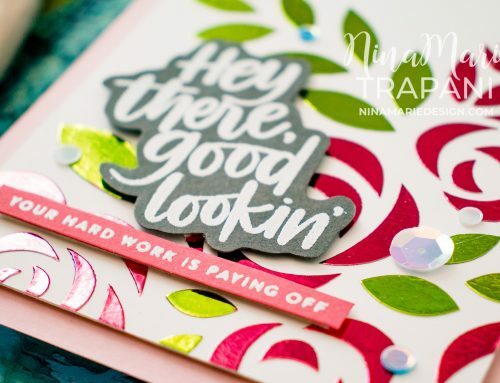 This is one stunning card Nina. You are super talented. Beautiful card! I love the dimension and the colors. Thanks for sharing. 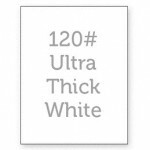 I love the colors of your card – my wedding colors were aqua and peach! Your coloring on the lilies is so beautiful and detailed. Gorgeous card! Glad I discovered your work! 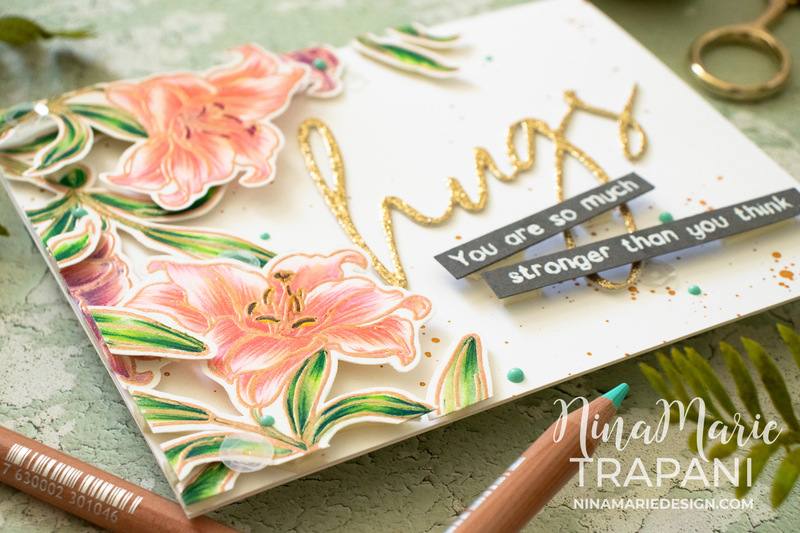 What a beautiful card, Nina Marie! I love how you combined Copic markers and those colored pencils to color those stunning flowers! Thank you for sharing your awesome creativity with us! Gorgeous card Nina- Marie. Very inspiring! 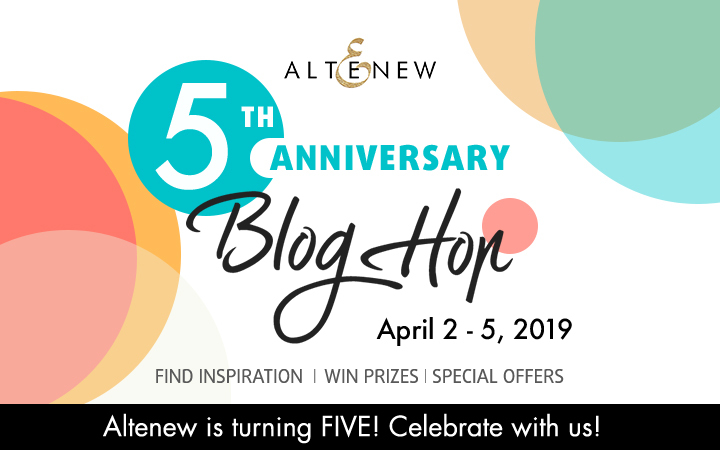 Happy Anniversary to Altenew! 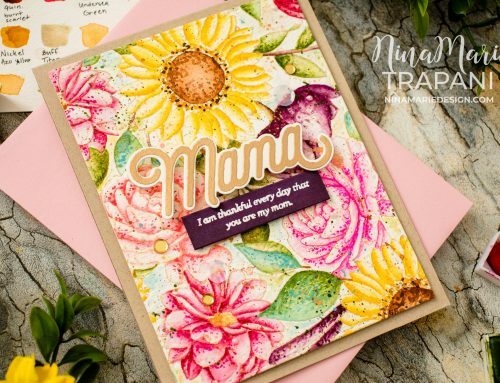 Your card is amazing — so much dimension and color! Love it! Very beautiful card, and your lilies are just amazing. Your copic/pencil technique is wonderful. Adds very realistic details to your flowers. Thanks for the inspiration! 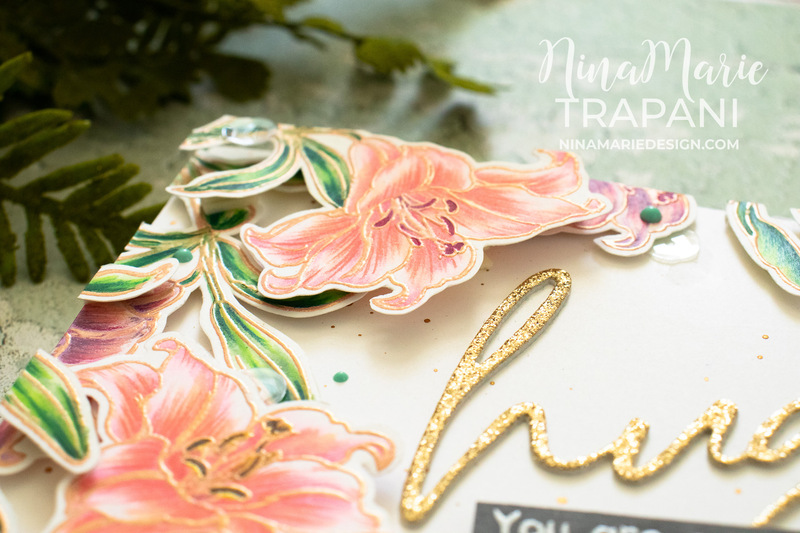 Beautiful card – I love your delicate colours for the lilies how you layered them, and the glam of the glittery Hugs sentiment! Magical layout, design and coloring! Bravo! Beautiful card! I can’t believe how pretty your coloring is. Love Darling Lily! Who can resist lilies! Love your take on it. Thanks for sharing! 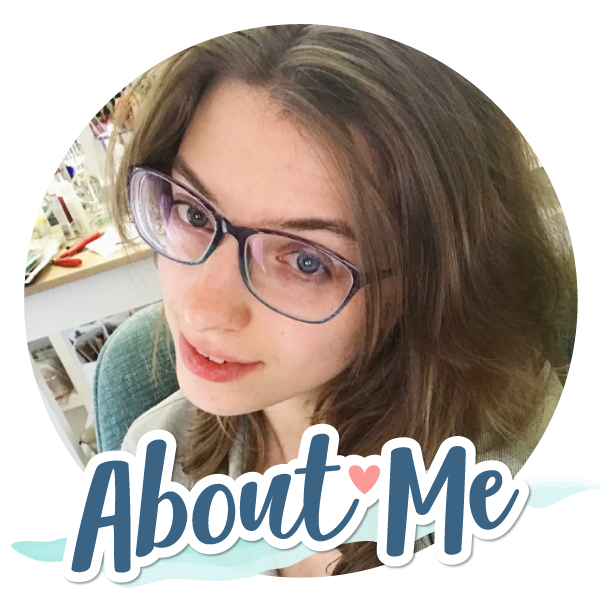 Nina-Marie, Wow, this card is so beautiful. The pencil touches make the flowers look so real. 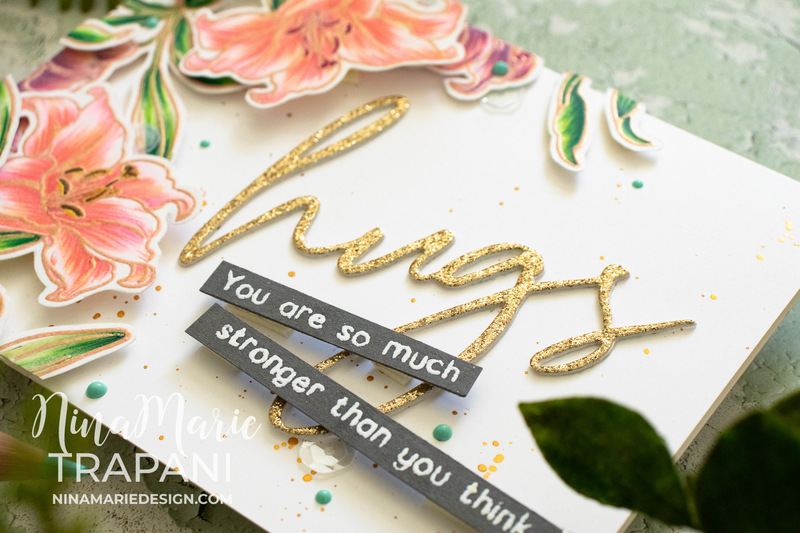 Love the gold sentiment…..great finishing touch to the card. Your work is amazing. Your copic and pencil techniques are wonderful. Your are really an inspiration. Love your YouTube videos. Beautiful card! Happy birthday Altenew! 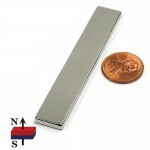 Love doing business with an American company! 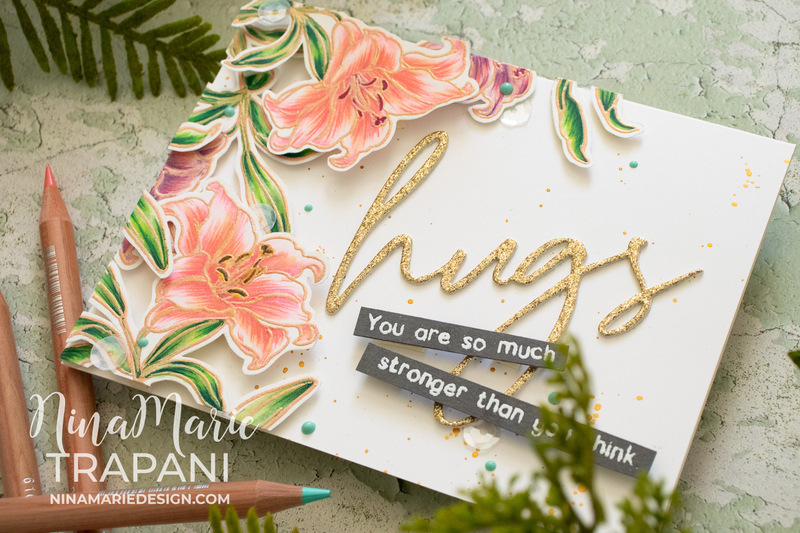 LOVE your sparkling, golden hugs, ADORE your DELICATE lilies – WOW – the colours are so BEAUTIFUL and your pencil accents give AMAZING detail and dimension!